Image of a drawn profile of a woman. 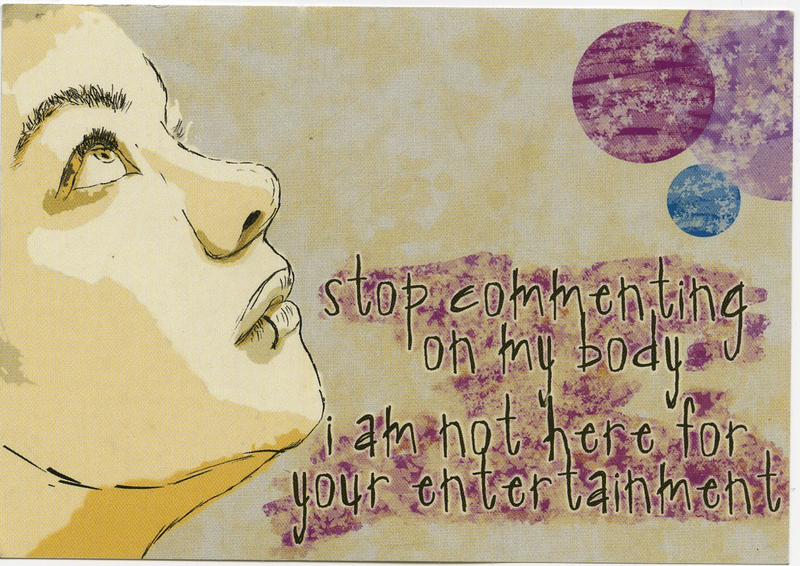 Addressing the issue of street harassment, the juxtaposition of the face with the text allows women to speak back to their harassers and reclaim their voice. By depicting the profile of the woman’s face rather than her entire form, the artist addresses the issue of objectification of women’s bodies and forces the viewer to analyze what she’s saying rather than how she appears. While one can interpret the figure as female due to the fact that street harassment is primarily a women’s issue, the figure is somewhat androgynous and could be interpreted as any gender identity.